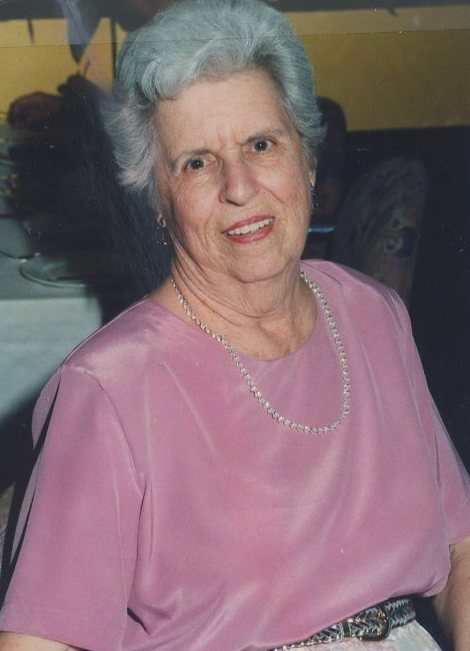 Dorothy Marie Russell, 97, of South Haven, passed away Thursday, January 17, 2019 at the Countryside Nursing and Rehabilitation Community in South Haven. She was born May 3, 1921 to Clyd W. and Lillian (Dickens) Winkleblec in Jacksonville, Florida. She married Milan Russell on August 15, 1942 at the Naval Air Station Chapel in Corpus Christi, Texas. They shared 52 years of marriage before his passing in 1994. Dorothy was a devoted home maker with her primary concern being raising her family. She did work as a school secretary and for Sears and Robuck in Howell, Michigan. She enjoyed playing bridge and loved singing in the church choir and Fun chorus. She was a member of St. Basil Catholic Church in South Haven and the Saint Francis of Assisi Church in Englewood, Florida. She is survived by her son – Ray (Lucia) Russell of South haven, and grandchildren – Andy (Stef) Russell of Bangor and Paul (Alicia) Russell of South Haven. Nine great grandchildren also survive. Visitation will be held from 12:00 PM to 1:00 PM on Saturday, January 26, 2019 at the St. Basil Catholic Church in South Haven. Funeral Mass will be held at 1:00 PM at the church with Father Jim Morris officiating. Contributions may be made in Dorothy’s memory to the St. Basil Catholic Church, 513 Monroe Boulevard, South Haven, Michigan 49090 or to St. Jude Children’s Research Hospital, 501 St. Jude Place, Memphis, Tennessee, 38105.